Little, Brown Books for Young Readers, 9780316070195, 32pp. 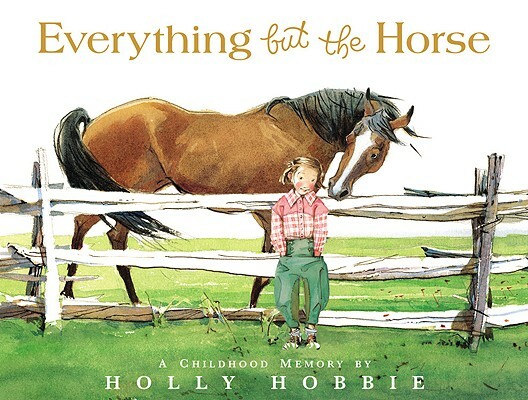 This gorgeous, resonant tale is a beautiful recollection from Holly Hobbie's own childhood about her love affair with horses.When Holly's family moves from the city to the countryside, she's scared of this new world at first, but gradually comes to love the animals she encounters. Soon she is drawing the horses in the local pastures obsessively, hinting to her parents what she wants more than anything. But will her one wish ever come true? Holly Hobbie has worked as an artist for more than thirty years and is the author of eleven highly acclaimed Toot & Puddle picture books, as well as Fanny, Fanny & Annabelle, and an illustrated memoir, The Art of Holly Hobbie.